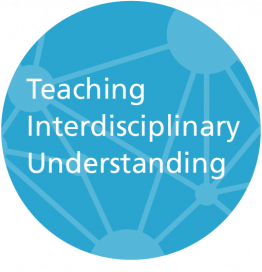 Team-taught courses have become an important part of interdisciplinary programmes. In our experience, students are remarkably positive, yet some teachers doubt the practical, pedagogical and professional benefits. Here we discuss the advantages and disadvantages of team teaching, and provide an examination of the conditions under which team teaching can serve as a valuable contribution to innovative higher education. Challenges in contemporary society demand an agile and adaptive attitude from future graduates. The presentation focuses on how interdisciplinary education can contribute to a student’s ability to develop adaptive skills, such as associative thinking, problem-solving skills and perspective-taking.